I believe that the perfect recipe for learning is a mix of fun and knowledge together. STEM (Science, Technology, Engineering, and Math) learning has always done a great job doing that. 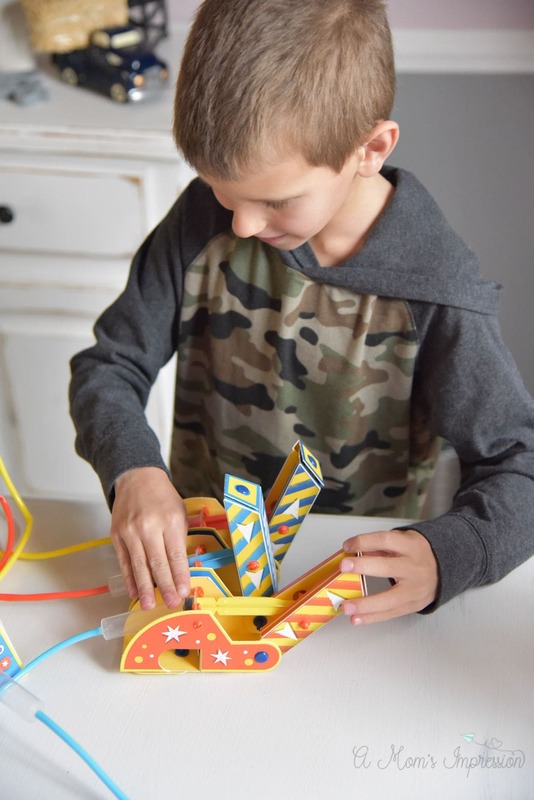 Now, KLUTZ has continued the exciting tradition of STEM learning with their Maker Lab Series. My son has always had a knack for designing and building things. He doesn’t just like to know what things do, he also likes to know how they work. I’m not sure where he got the patience like that, certainly not from us! We have discovered that he learns best when he can be hands on. He likes to figure things out by actually doing them, not just by being lectured or reading it. So, STEM learning has always played a big part in our son’s life. We are always on the lookout for new, fun, creative and interactive ways for him to absorb knowledge. We want a process of learning that promotes exploration, innovation, and experimentation. 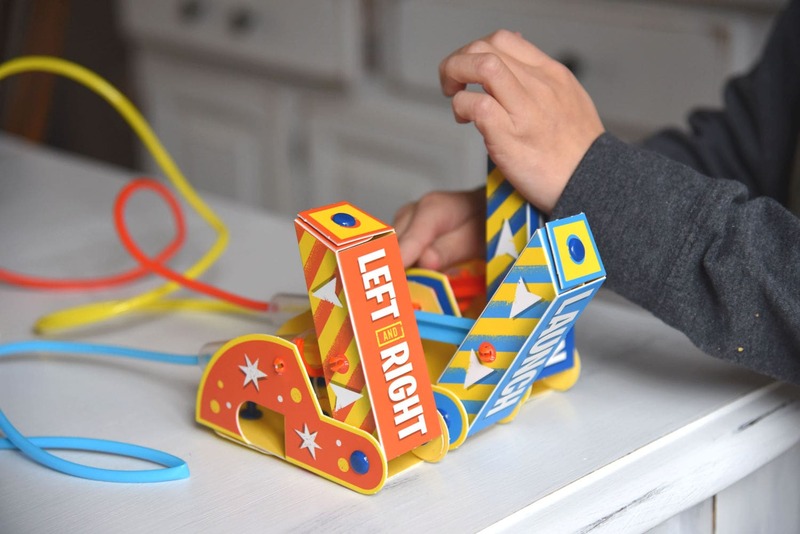 KLUTZ is well known for making its educational and fun activity kits. 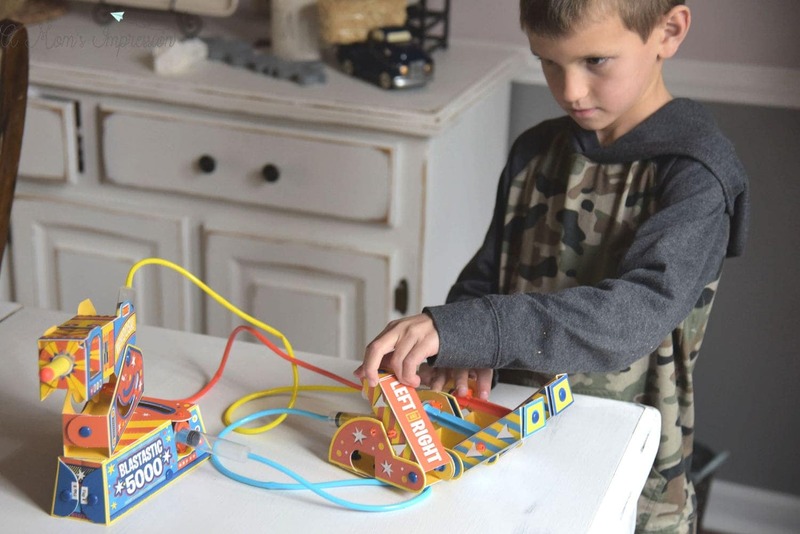 I was excited to learn that they have come out with a new STEM-focused Maker Lab Series for children ages 8+. You can choose between either the Air Blast Cannon or the Circuit Games Build and Play. 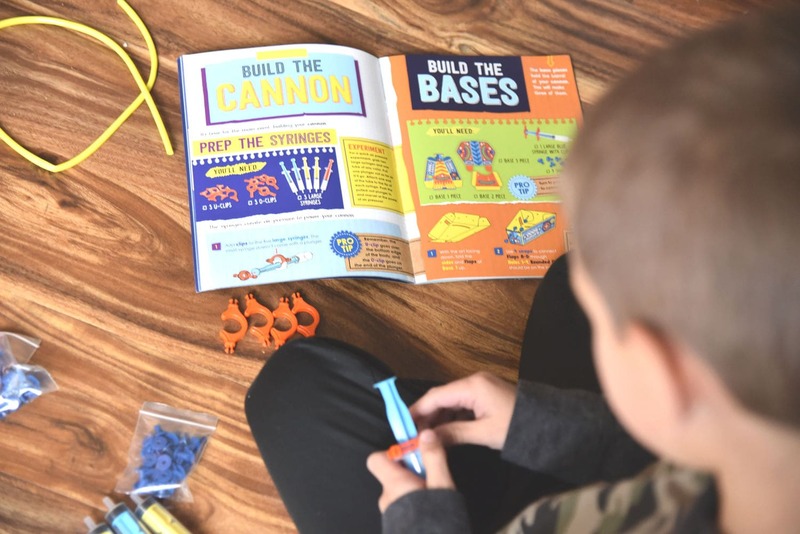 With each kit, you will learn all about the science of the project, from physics to electronics and more! 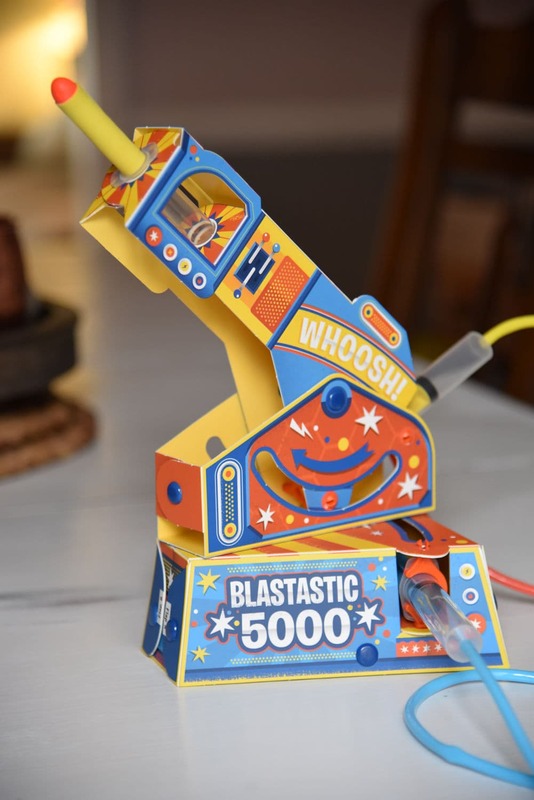 Our son is a huge fan of everything military related, so we choose to try out the Air Blast Cannon. My husband sat down with him and put it together. The pieces of the kit were very well put together the instructions were very easy to read and follow. The instruction book was made with high-quality paper and included colorful, engaging pictures. My son had no problem reading and understanding all of the steps. They were well written with a sense of humor that he enjoyed. It took a solid 30 minutes to put together but would have certainly taken longer had my son done it alone. He was able to follow and understand the instructions, but the physical aspects of the assembly would have been challenging to him. Putting together some of the pieces required a little bit of strength that my son just didn’t have. It was fun to watch him figure out exactly how everything was going to work together. There was one page in particular in the instruction book that really gave him an “aha” moment. The instructions described the difference between air power and firepower. My son knows all about the traditional canons that were used in the wars, and he knows all about pumping up a bicycle. So it was fun to see him realize how the same physics that put air in his bike tire can shoot out a missile. When completed, he was able to harness the power of air to move the cannon up, down, left and right, then shoot at targets included in the kit. Due to the weather, he was home from school all day today. We were thankful he got to have some fun with his dad and also learn at the same time! We would love to continue with our STEM learning by trying out the Circuit Games Build & Play. 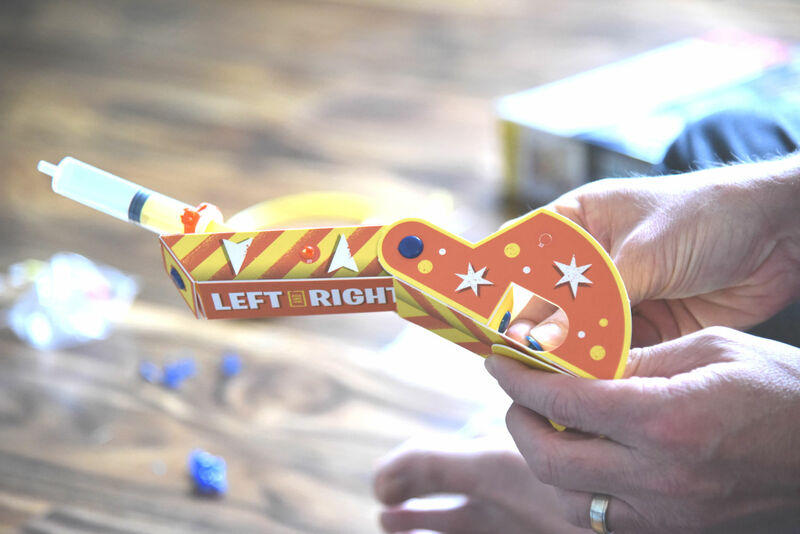 With this kit, you can build a combination of five games using circuitry. I’m sure he would have some super powered fun doing this one as well! 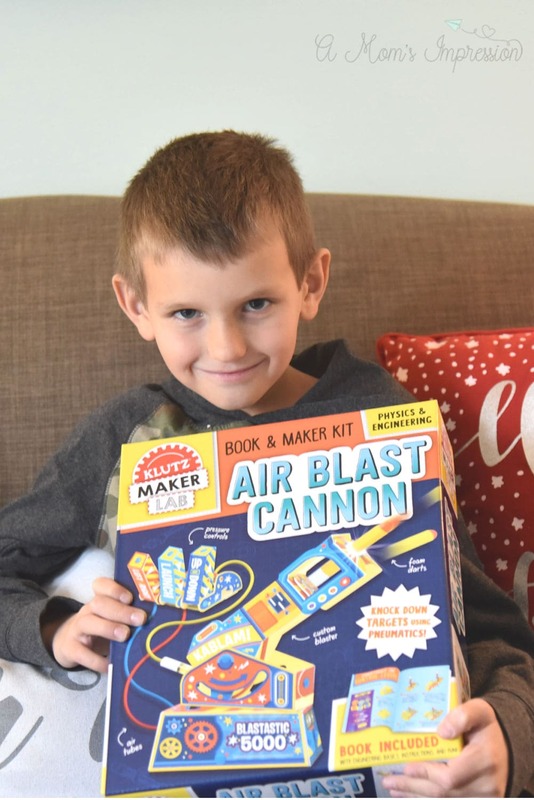 If you are looking for a fun, educational Christmas gift for a child 8 year of age or older, KLUTZ Maker Lab Series is a great option. They are fun to build, fun to play with and, most of all, fun to learn with!